Found 56 file extension associations related to Microsoft Works and 29 file formats developed specifically for use with Microsoft Works. Microsoft Works allows users to coordinate everything from little tasks to large projects. Microsoft Works gives users the basic tools that they need to make tasks easier from start to finish. It’s easy to manage personal and household tasks with Works. Users can quickly get started with the Works Task Launcher to easily access calendar, contacts, Works programs, templates, and projects from one central place. Microsoft Works is an office suite developed by Microsoft. It has fewer features than Microsoft Office. Its includes a word processor, a spreadsheet and a database management system. Later versions also including calendar application and a dictionary while older releases included a terminal emulator. 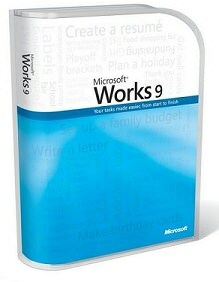 Microsoft Works was discontinued in 2007 and replaced by Microsoft Office Starter Edition. The Microsoft Works software seems to be old or discontinued. If you need more information please contact the developers of Microsoft Works (Microsoft Corporation), or check out their product website.